As in the Milan case, the Ministry of Health’s compensation program had denied compensation to the family, yet after a presentation of medical evidence, a court granted compensation. There, too, the Italian press covered the story; the U.S. press did not. Furthermore, since 2011, the U.S. Supreme Court has foreclosed potential cases and class action lawsuits to contest unreasonably dangerous vaccine designs, such as the use of thimerosal as a preservative or the simultaneous administration of multiple live viruses, such as the MMR. 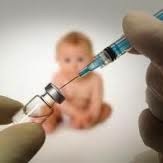 Since the Supreme Court’s 2011 Bruesewitz v. Wyeth decision, no court in the U.S. can entertain vaccine design defect claims, the most likely legal actions to aggregate plaintiffs in similar circumstances against large, pharmaceutical defendants.